Former 140 pound champ Amir Khan has already worked with some fine boxing trainers, yet the soon to return British star is now to work with another great trainer. Khan, who has picked up so much whilst working with the likes of Freddie Roach and Virgil Hunter, will work with Joe Goossen as he gets ready for his comeback fight with Phil Lo Greco. As fight fans may have read, Virgil Hunter was recently hospitalized due to illness, and even though Hunter has assured those concerned that he is okay and on the mend, Khan has enlisted the established services of Goossen for the time being. Fans will know the Goossen name well. Having worked with a number of world champions – including Joel Casamayor and middleweight great Michael Nunn – Goossen has more than earned his wages as a strategist and observant corner-man over the years. It will be interesting to see if Joe can improve Khan and the British star’s chances of winning another world title. 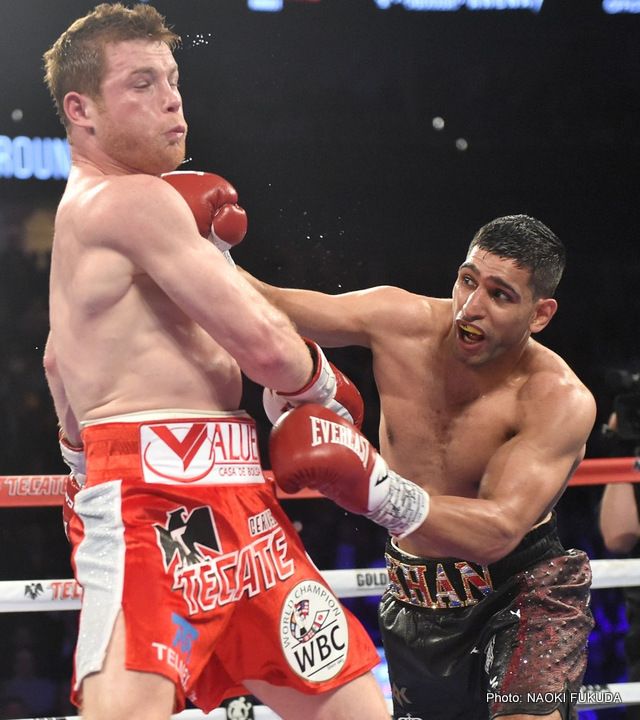 Khan, despite his near two-year layoff (following a nasty KO defeat at the hands of Canelo Alvarez), is widely expected to beat Lo Greco, but maybe Goossen will stick around for a while after the April fight. Khan is young enough at age 30 to be able to come again at top level, and most will agree how he is in good hands with Goossen guiding him. I’m certain Virgil will agree on this.